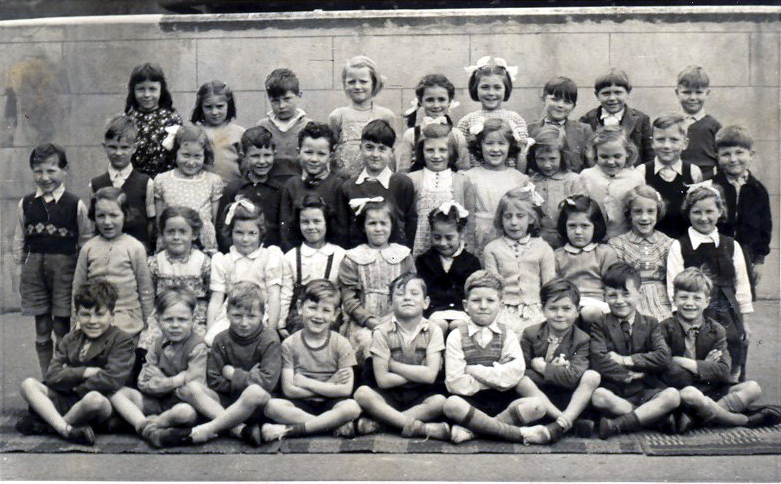 Here we have a wonderful collection of class photographs taken at St John Carlton Hill in the years 1948 to 1950. Do you recognise yourself here? Maybe you can add some names? 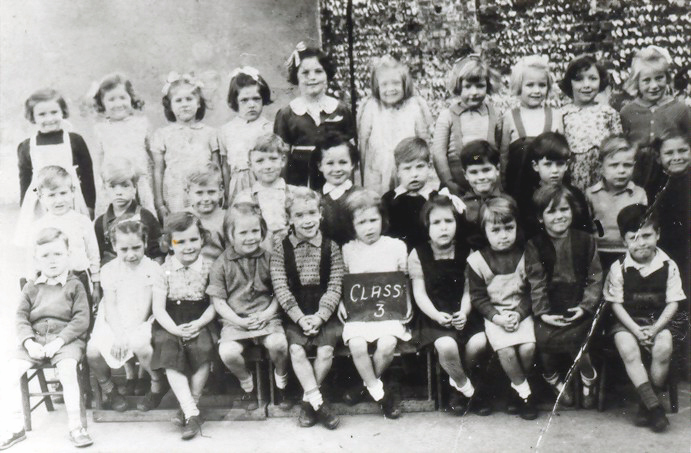 If you can help us fill in the gaps – or have any memories of being at the school at this time – please leave a comment below. Mr Barnwell, I guess I’m not allowed to comment on this site regarding this particular “Teacher”! But I think I can safely say that most male teachers from the fifties in Brighton were rejected applicants from the Spanish inquisition. I think they operated a system of education by terror. By the way the headmaster at St John’s juniors was Mr Witten (Wilson was a close guess). Does C West know if I am in any of these photos? I would love to know. 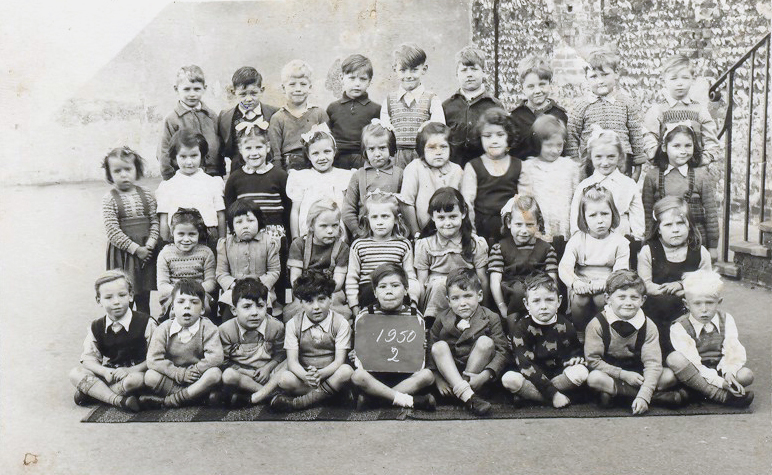 I’m afraid I don’t know the names to anyone in these photos except those couple of names mentioned, the only name that I can put to a face is Janet Hill and the boy seated on left in the class 2 1950 photo whose name was Tony and I used to go to his house in Queen’s Park road after school to play. I have to say that my school days were not happy ones. 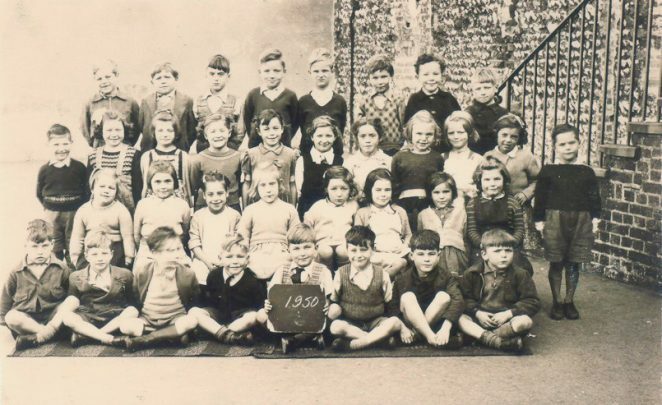 Does anyone know if there are any school records from 1950 -1954 saying who was in what class in the junior school? I would be interested in seeing them if there are. Hi Kath, you’re not in the photos on display here but you’re in the photos I’ve just uploaded. I’m sure you’ll recognise yourself – if not I’ll point you out! 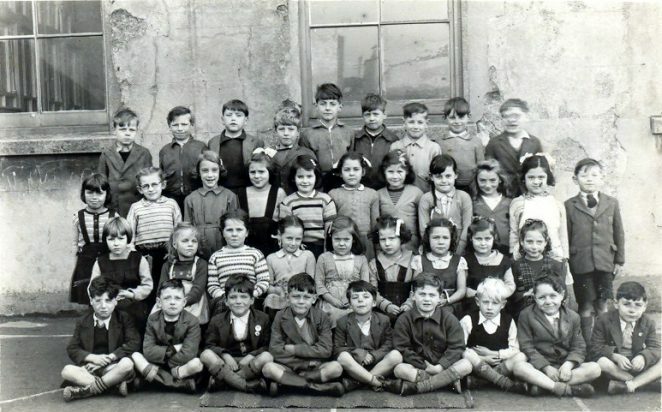 I have been looking at school photos again and recognize some more of the kids: Micky Douglas, Peter Leach, Terry Ellingford, Delia Smith, Carol Goble, Danny West, two lots of twins, Joan and John Noble, also Ann and John Gunn, Pat Washer. I expect there will be others that I will remember. Hello, I have been reading the comments and wonder If C. West the person that has put the photos of St Johns’ infants school has any of the building at the back of the the school called the arts school / canteen. I would appreciate any help in locating any photos of that building as I used to play on the roof when I was a kid. Hi everyone, are there any photos or memories of me? I would love to hear from you all.